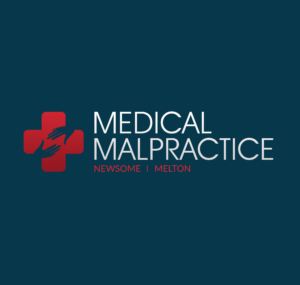 Every year the civil court system hears a large number of medical malpractice cases. The following topics provide information concerning whether or not it would be worthwhile to file a medical malpractice case against someone within the healthcare system. The best way to find out if a claim could be supported in court is to consult an experienced malpractice attorney who is familiar with the local and state laws pertaining to the case. Many plastic and cosmetic surgeries and procedures are not covered by insurance companies, because they are considered optional. Evidence shows that many juries serving these cases consider the plaintiff at least partially responsible for the problem, because he or she chose surgery that was not medically necessary. There are, however, situations in which there is a clear case of malpractice. Before a judge or jury is willing to award punitive damages in these cases, it must be clear that there was intentional, reckless, wanton, grievous or gross negligence, resulting in fatal or serious damage to the patient by a person providing healthcare during or after surgery. Prescription drug errors are one of the most common medical malpractice cases. Many drug errors are never noticed by the patient and often go unreported. If the error is caught in time and there was no damage done to the patient, then the individual does not likely have a claim. Drug companies, pharmacists, nurses, doctors, physicians or other healthcare providers can all be held responsible for a prescription drug error. Medical professionals can be held responsible for administering the wrong dosage or the wrong medication, for writing illegible prescriptions, for prescribing unsafe or defective medications or for failing to foresee problematic complications. Any of these errors are reason for filing a prescription drug malpractice claim. Most patients don’t know that illegible prescriptions, written by their doctor, are the most common prescription drug error. The responsibility falls upon the pharmacist if he fails to consult with the doctor before issuing the prescription. Anytime a healthcare professional provides care that is below acceptable standards during the birthing process, it is considered negligence and can be classified as medical malpractice. If a birth injury malpractice case is to be successful, it must be based on the fact that either the newborn or the mother was injured or damaged as a result of this negligence. There are a number of actions, such as the improper use of forceps or vacuum, the baby’s condition being inadequately monitored, or the use of medications that are risky for the baby that clearly prove negligence on the part of healthcare providers and provide grounds for a malpractice claim.